Free parking lot. Additional parking located on the north side of Wendy's Drive thru. 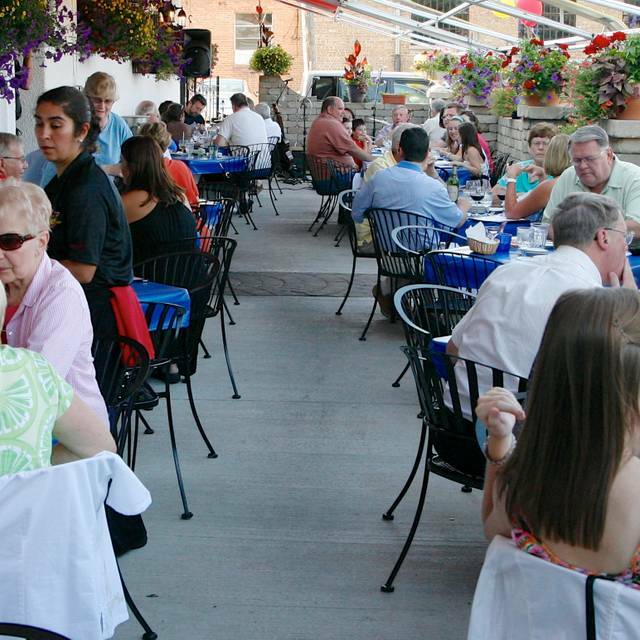 Emilio's Tapas Hillside accommodates private and semi-private groups for all type of events. Thank you for your interest in Emilio’s Tapas. 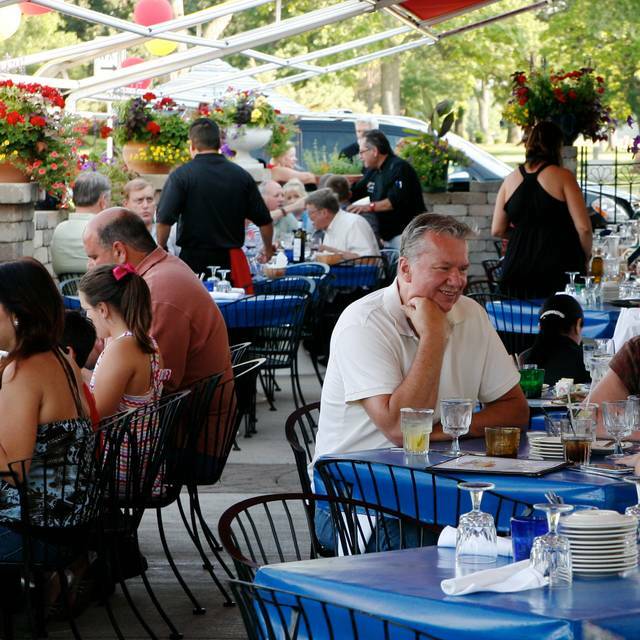 Emilio’s Tapas is an authentic Spanish Tapas Bar Restaurant conveniently located in West Suburban Hillside. 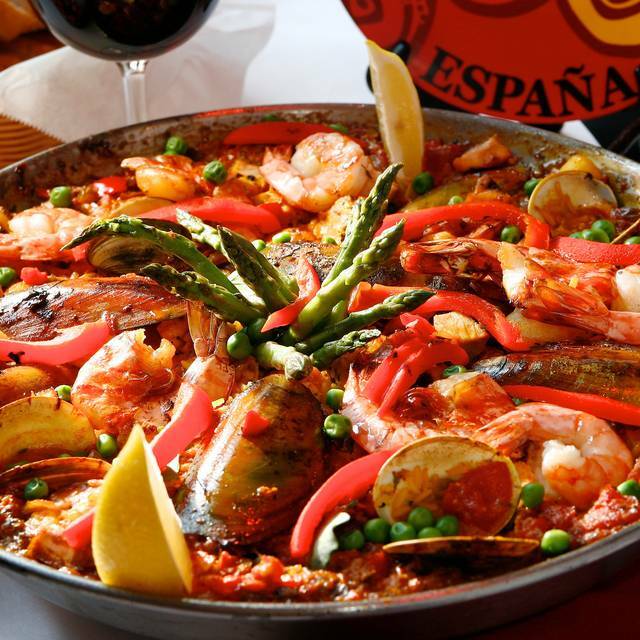 Spanish cuisine can best be described as a mix of French and Italian influences; tapas are small dishes ideal for appetizers or when ordered in rounds build a complete meal. 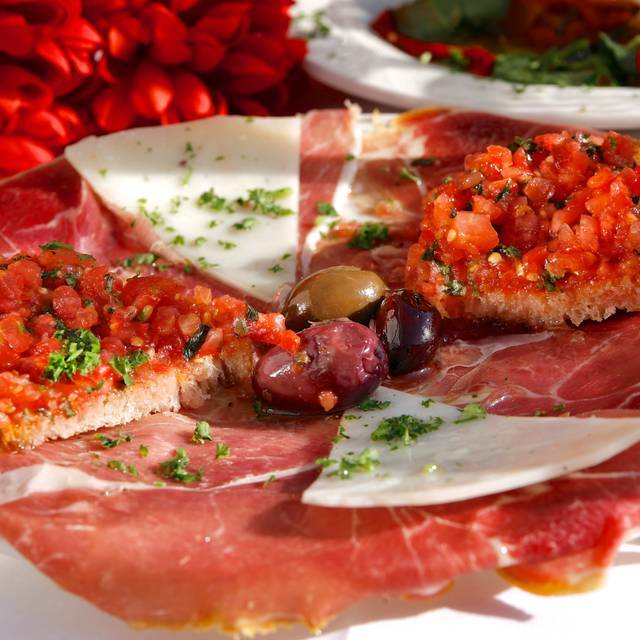 Our menu consists of regional Spanish specialties, original dishes created by Chef Emilio offered in both dining room, bar and patio (weather permitting) for lunch and dinner. The restaurant is casual with spacious dining rooms and an energetic atmosphere accentuated by colorful Spanish murals, music and tiles. Tapas from $1.95 & $1 off Wine & Beer! The cold tapas were excellent. The entree (paella) I had was a bit dry and not as tasty as I'd hoped. The dessert was good. Service by Alfredo was outstanding. oh, i wish you had mentioned that to Alfredo....we would have replaced it with another entree of paella or any of the other entrees. i'm so sorry to hear that....we could have made you a happier guest! ill mention to Alfredo that you were happy with his service to your table. gracias. Great as always! Easter brunch was delicious and a good value! Gracias! I'm happy you enjoyed our Easter Buffet.....hope you got your pic with our ice Easter Bunny! Wonderful option for our Easter Celebration! The tapas buffet was fresh and a great selection of entrees and desserts. Gracias and thank you so much! I hope you had your pic taken with our Easter Ice Bunny! It was very nice , authentic spanish cousine food. Everything was fresh and nicelly done. The angus beef was so tender and delicious. Gracias for your rating and comments! We love going to Emilio’s for Easter Brunch! The food is delicious though we wish there were more salads and pastries options. The only other feed back is to have flowers on the patio tables. Even faux ones to add to the ambience outside! Thanks for a yummy meal!! Service is friendly, fast, and efficient! One of our favorite restaurants. Food is fantastic. We tend to go with our usual favorites: Bacon wrapped dates, Cold curry chicken salad, Steak skewerss with onions and horsradish. Loved the special Artichokes last time. Service is always excellent. Often pretty well packed so reservations are recommended. Prices seem to have climbed up a little lately but probably worth it. Came for girl's night out. I have never been here and I wonder why! It was fantastic! Goat cheese spread was yummy. 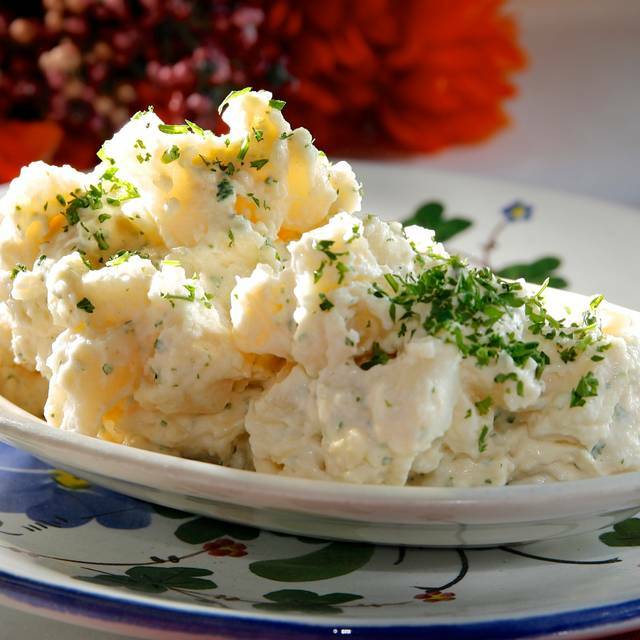 Especially loved the potato salad. It had a great flavor. The service was perfect. Red Sangria with fruit paired great with all the food we sampled. Gracias for your great review! We are so glad you found us and had an amzing expiernce. Thank You. Like going to a family party. 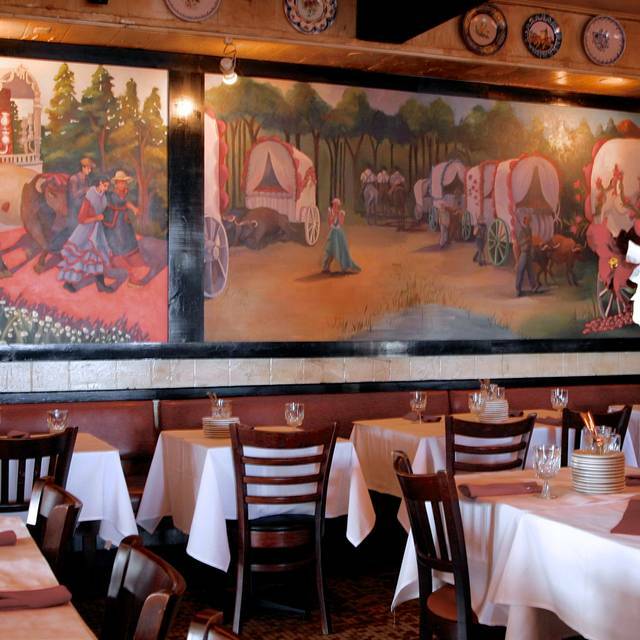 We have dined here for 25 years. Staff are like old friends. Gracias! What a nice comment, we really appreciate it. First time visiting and thought the experience was wonderful! Food was so unique and delicious. Definitely will go again. I have been to hundreds of good restaurants in my lifetime, and have never had such an all around amazing “food experience” as I had at (my first, and definitely not last) Emilio’s the other night! Service was very good, the food... art on a plate! Beautiful presentation, perfect combinations of flavors and spices. I had the pleasure speaking with Emilio, and can see why each of the dishes we had tasted so great. Emilio’s passion for food and people comes through in what is served. I’ve been raving about our experience all weekend, and we most definitely be going back! Best Tapas in America. 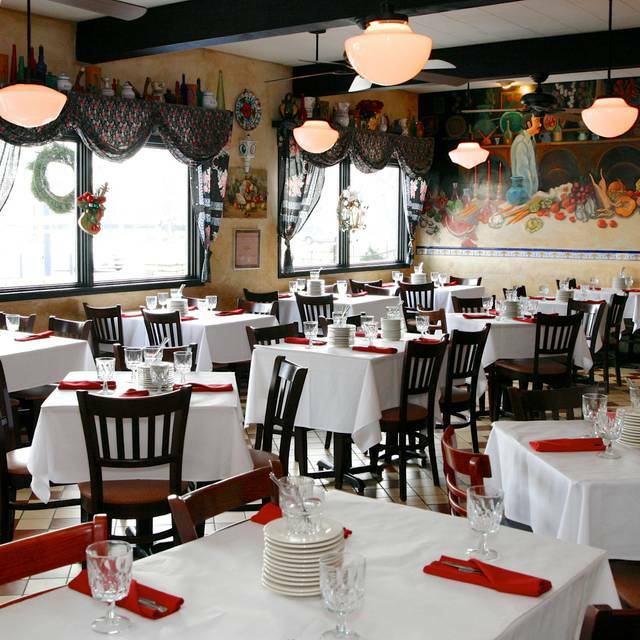 Great quality food, excellent service, warm atmosphere. Thank you....that certainly is a high mark! We really appreciate your review. Great gluten free vegetarian options! Our family loves our waitress Martha! Our favorite tapas restaurant for the past 10 years. Gracias, thank you for your review. We definitely love our server Martha. The food was very good, everything is ala carte, so you can really add up the costs if you aren't careful. As always, the food was spectacular and the service exceptional. We enjoyed the daily tapas specials - a crab-filled pastry puff and a shrimp cake - as well as some of our regular menu favorites: goat cheese in tomato sauce, stuffed mushrooms, garlic potato salad, spinach salad in radicchio leaves, blood sausage, and duck leg. Thank you so much for your review about your menu selections and service....gracias! Paella and Spanish red wine!!! What could be better on a Sunday evening? Attentive service and amuse bouche. Love this place. It was a very crazy busy hectic evening at Emilio's on Saturday evening. We had a 730 reservation and arrived 15 minutes early. Over the next 45 minutes, we noticed that the ambiance and food was soo great that NO one was leaving their tables. We checked in a couple of times just to let them know we had not left. After another 15 minutes, we were still not sat. The owner came up to us and made sure that we were the next sat and proceeded to send over the most amazing appetizers and checked in on us a couple of times. Needless to say, other than the long wait - this restaurant sure knows how to take care of its customers - not only with good food but recognizing sometimes the wait is not in their control. The sangrias are amazing while you wait. I highly recommend to anyone for a truly delightful meal and ambiance. Thank you for this lovely review. We appreciate your understanding that we dont have a crystal ball! We appreciate your patience and hope youll return soon. The music, the food, the service (Lety is always wonderful) was exemplary. We even opted for dessert, and finished the evening off perfectly! Gracias for your rating and comments, we love Lety too! The server was great and we enjoyed her wine recommendation. Excellent food and wonderful ambiance. Loved it!! Gracias for your rating and comments, we really appreciate your feed back! Hadn’t been there in a very long time but was just as wonderful as I remembered. Best place for sangria! Gracias! We hope you will come back soon....Friday night live guitar music! Emilios never fails. It’s been some time since I’ve there so I was looking forward to the even with good friends. The specials were excellent especially the sole. One of our favorite places. The food is consistently excellent as is the service. Reasonable food prices, however the drink prices are high. Great service. Great food. And great recommendations from our server. It was one of my friends first time and she is looking forward to going back! Thanks for making our birthdays memorable! Gracias for your rating and comments I'm happy we could be part of your special day! Excellent always. I brought 3 out of town guests for their first time and they loved it!! The best tapas anywhere..everything is delicious. Wonderful Sangria! Service beyond great. 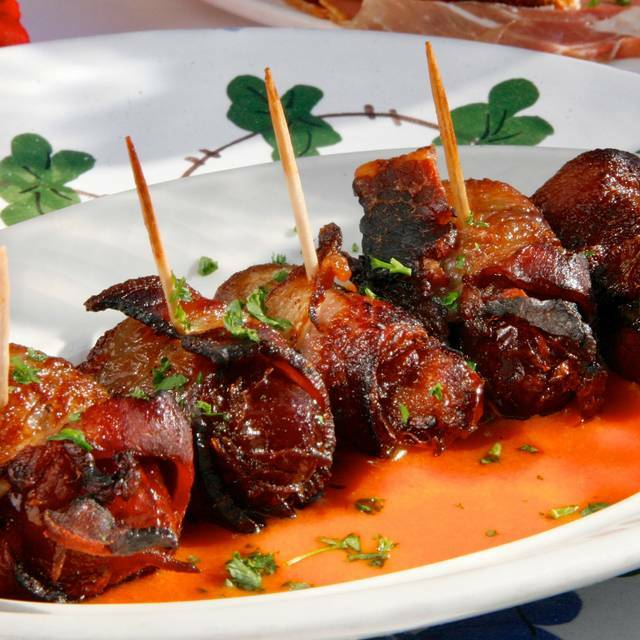 I always have the bacon wrapped dates for desert..so good. More than a restaurant, a true dining experience. Gracias for your rating and comments, they are so appreciated. We have been going to this fine restaurant since it opened in 1990. The quality of the food is always the same. Old standbys like garlic potato salad and manchego cheese with ham on bread stand the test of time. New specials are very very tasty. We also had two excellent bottles of Spanish red wine at fair prices. As always, Emilio was present, chatting up customers and overseeing everything. 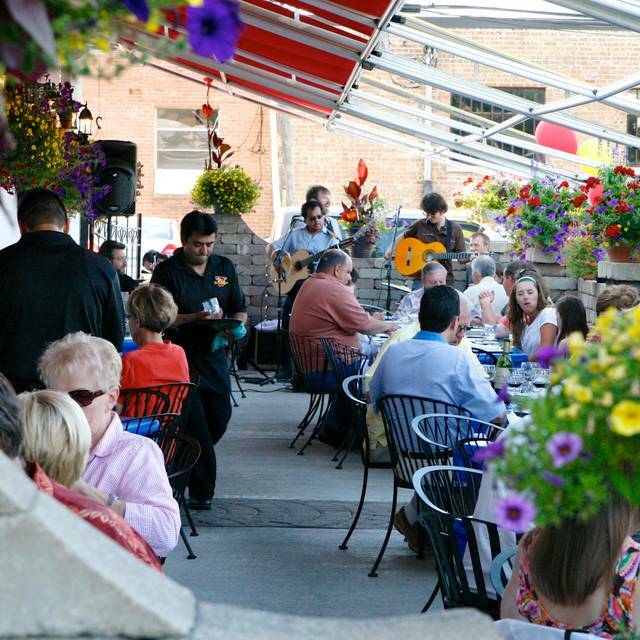 Emilio's is the best Spanish tapas in the whole Chicago area. Highly recommended. Wow! Thank you so very much for your great review! We love what we do! Since 1988....time flies. I've been to a few Tapas restaurants - in the US and Europe - and this was one of the best. I thoroughly enjoyed it and will return. My wife and I had a wonderful time. The food was great and our server was excellent!! We both enjoyed the ambiance, music and company. Highly recommend this place to anyone!! Gracias for your rating and comments. We appreciate your kind comments. Excellent food and service! I would highly recommend to family and friends. Birthday dinner. The restaurant supplied balloons for the table and a free dessert! Gracias, we're Happy to be part of your celebration! Great food and service. The food flavor is always consistent and excellent. ❤❤❤ this place. always excellent. seafood paella is tremendous! service is great without being pushy. Gracias for your rating and comments, we really appreciate it! Service is always perfect and the food is amazing. Emilio is a true artist! Emillio came by our table to chat (and sent us over a special treat). We shared two desserts and great coffee at the end of our leisurely meal. Gracias for a lovely review....we are thrilled to hear you have been dinning with us on our amazing food journey . Best tapas. Potatoes with garlic are a must. Grilled octopus was awesome, so tender. The wine was excellent, ask about their special not in the menu. The chocolate mousse was excellent. Gracias for your rating and comments! Sounds like a great evening....gracias.